When the sun starts to shine and the weather begins to warm all you want to do is put a smile on your face and let any of your troublesome cares slip away. Unfortunately, these cares, i.e bills, car payments, loan payments, mortgage fees will not just disappear on their own. To be able to enjoy the beautiful summertime weather and not experience feelings of stress and anxiety, contact Tio Rico Te Ayuda today to inquire about obtaining short term loans. Tio Rico Te Ayuda is one of Arizona’s top financial lenders, helping to provide personal cash loans to all sorts of individuals. The application is incredibly simple and requires very little paperwork to be qualified and approved. 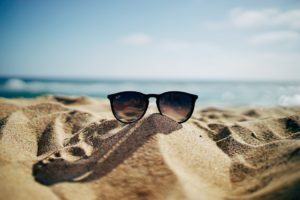 Here are just a few ways Tio Rico’s cash loans can help you get out of a bind quick and get you back to enjoying all the summer activities stress-free with family and friends. Sometimes planned and other times completely unanticipated, you or a family member makes a trip to the doctor’s office. More often than not you will leave owing far more than what you may have allotted that month and many times the medical bill or medication will not be covered by insurance. The good news is that with Tio Rico’s cash loans you can borrow between $100 and $1000. You will not have to stress and when the next paycheck comes in you can pay the loan off. Doesn’t it always seem like you have car problems at the most inconvenient times? A light goes on, you notice a mysterious pungent smell, a worrisome sound, or phantom smoke starts billowing out of the hood of your car, whatever the signal you are forced to bring your automobile into a mechanic. Because you could never have foreseen there ever being an issue with your vehicle, you may find yourself short on cash. Tio Rico’s quick and easy cash loans will help you get out this sticky situation and back on the road. As those summer temperatures soar above uncomfortable levels all you want to do after being in the hot heat all day is to come home to a refreshing air-conditioned home. However, for some reason or other your air conditioner or other small appliances have malfunctioned and are need of immediate replacement or repair. For unforeseen emergencies, like a broken air conditioner, using one of Tio Rico Te Ayuda’s cash loans will allow you to solve the immediate issue at hand. Be sure to visit any of Tio Rico Te Ayuda’s fourteen locations today, or call 602-322-1010 to speak to one of our extremely qualified and knowledgeable cash loan experts. You can apply online instantly as well.